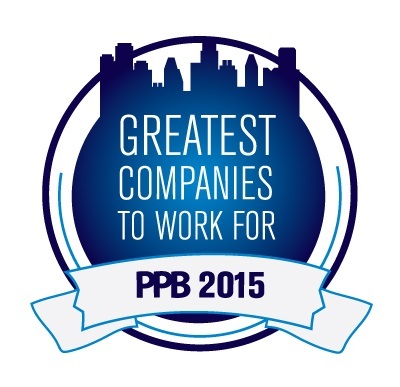 Promotional Products Association International and PPB Magazine named Essent one of the Greatest Companies to Work For in 2015. Essent was nominated by its employees. Are you energetic, bright, ambitious, top in your field, and looking for an exciting challenge with upside potential? If so, Essent wants to talk to you immediately. We’re looking for talented individuals like you to join our team. Our employees build, market, and sell sophisticated accounting and operations management software solutions that provide our customers with the tools to maximize the service they provide to their customers. Our mission is our customer’s mission. Everyday Essent employees use their time and talent to produce creative solutions to challenging operations management issues. Essent is building an important and lasting company. We succeed by designing and implementing innovative solutions to vexing business problems. At Essent we value innovative ideas and offer you the ability to immediately contribute to the mission. Every employee has the opportunity for personal, project, company, and customer success. We all succeed through our collective success. You'll work with a great group of colleagues on challenging assignments in a friendly collegiate environment. You’ll have the opportunity to work on cutting-edge technologies and projects that you otherwise may never get to touch. You’ll interact with customers that are leading the way in their industries. You’ll have an unparalleled opportunity to learn in an interesting, real-world environment. You'll grow your career while impacting Essent and our customer's business. Positions include competitive salaries and comprehensive benefits. If you’d like to join a team driven to succeed and like growth opportunities working at a progressive, successful company, please apply now. Why Do Passwords Need At Least 8 Characters?